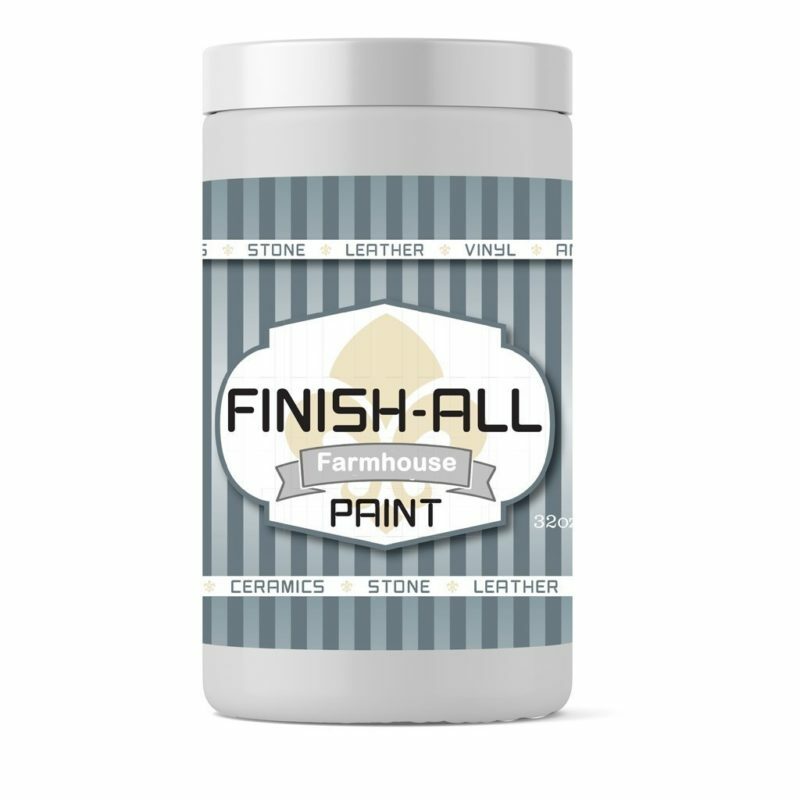 Finish All is the one paint that covers it all! Literally. This unique, flexible formula allows you to paint wood, smooth fabrics, leather, vinyl, ceramic, stone, outdoor cushions, canvas and more. 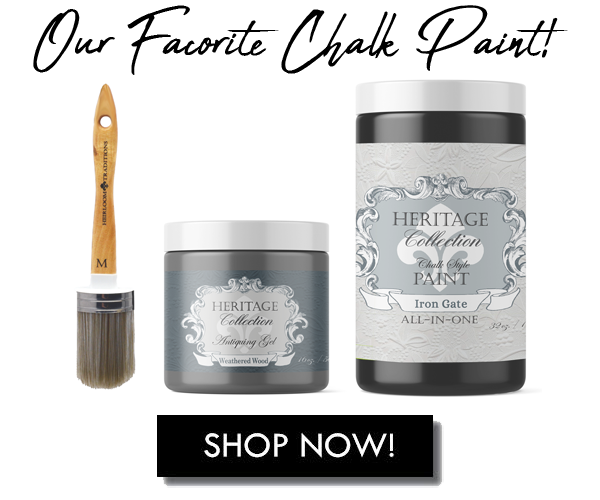 Heirloom Traditions is always committed to bringing you EASY DIY so this product does not require sanding, stripping or priming*. When painting fabrics, no additional fabric primer or fabric sealer is required. Just degrease your surface and start painting. It’s that easy! Want to tone or antique your painted finish. Heirloom Traditions unique water based wax formulas can be used with this product. Color: The color Farmhouse is the perfect country off white. This white has a slight taupe undertone to it making it the perfect creamy white. Sheen: Low Luster, Smooth Finish Available in 2 sizes: 16oz Pint-covers approx 70 sq ft 32oz Quart-covers approx 140 sq ft Note: *When using a light color over a dark/red wood, pieces that have been subjected to nicotine or heavy grained woods, a primer may be needed. Hard wearing surfaces may require an additional top coat. 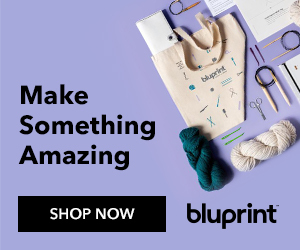 This product is not recommended for velours, velvets, stretchy leathers or stretch vinyls. Fabrics and leathers will feel slightly coated once painted. Beeswax and Carnauba products cannot be used to antique/tone this paint. THIS PRODUCT DOES NOT CONTAIN LATEX, DOES NOT HAVE A LATEX LOOK OR FEEL. If you like all my free files, you can easily say thank you by getting me a cup of coffee! 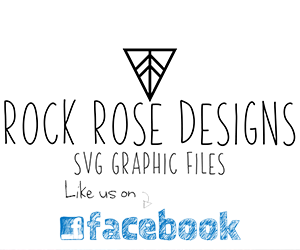 I work for you each and every day to bring you the BEST SVG files out there!